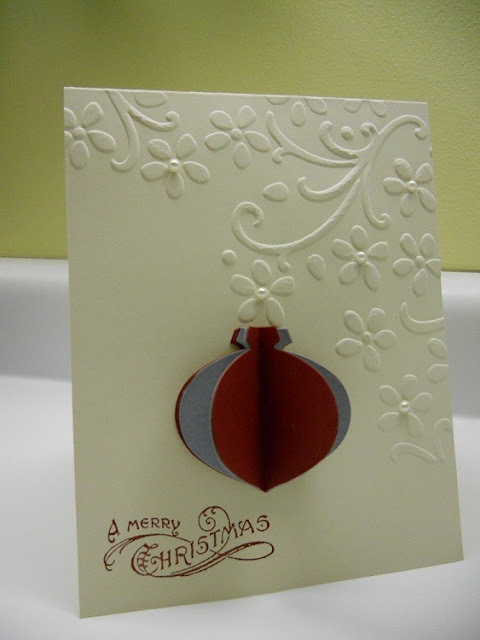 This card was so pretty and with the extra popping of the ornament and the pearls to give it a soft touch it turned out just right. I remember viewing this card in real life. It was very pretty - and memorable with the 3D ornament. Great job Margaret!